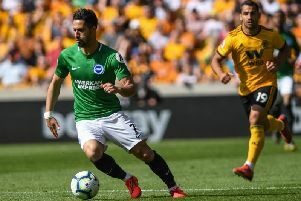 Brighton & Hove Albion latest: Who will start for Albion against Manchester United? Where do the Seagulls need to improve? On this week's Seagulls Weekly podcast, we talk about the opening-day defeat at Watford, where Albion need to improve and look ahead to Sunday's match with Manchester United. Sussex Newspapers sports editor Mark Dunford discusses all the latest Albion news with chief football reporter Steve Bailey and Albion fan and reporter Sam Wilson. Click on the video above - edited by Sam Wilson - to watch our second podcast of the new season. Is Brighton v Manchester United on TV, what time is kick-off, what are the odds?